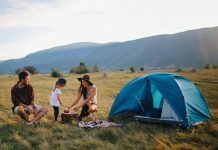 If you have been on a camping trip with more experienced campers than yourself, then you must have heard them say a lot of words which you probably didn’t understand yourself. 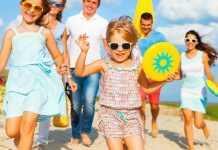 Campers usually follow a certain camping terminology which you too can easily learn if you are interested in becoming a regular camper. Guy Lines– These are the cables tied to a tent and to its stakes and help provide the tent overall stability. Deadman– The process of burying large rocks and sticks to guy lines to pitch a tent when the ground is too soft for it. Tent Pad– The ground present under the tent is referred to as tent pad and is different from sleeping pad. 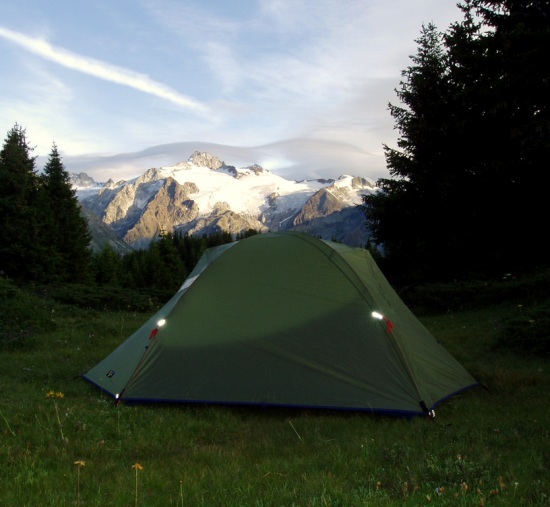 Freestanding– This is a term used to refer to those tents that do not need guy lines to stand. Boxing the Needle– This is a term which is used to refer to the process of lining up a compass’s needle with magnetic north. Kerf– This is a term which means a cut made by a blade like an axe or a machete. Old Growth– Older and bigger vegetations like cedar and other trees are known as Old growth. Understory–This is a term used to refer to the Vegetation which lies close to the ground in a forest or other camping areas. 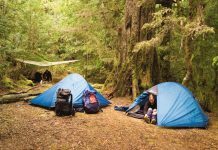 No Trace– No trace means to leave absolutely no trace or things on the camping site before leaving it so as to preserve the local environment. 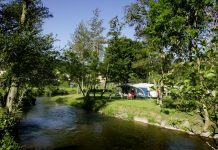 Open Site or Closed Site– This means the amount of vegetation around a campsite. Open sites usually don’t have high vegetation. Alpine Zone– Alpine zone is the visual area located just above the tree line. Day Pack– This is a small bag or pack which campers and hikers take out for short-term trips and is usually light. Wilderness–A wilderness is a term which is used to refer to an area where humans are just visitors and where the land isn’t maintained, and motorized vehicles aren’t allowed. Bear Lockers– This is a term which is used to refer to the Metal lockers provided by a campsite to keep wild animals like bears from food items belonging to campers. Bear Hangs– This is the food bag that is tied to a rope and is thrown over a high limb so that bears cannot reach it. Chuck Box–This is a sack containing camping cookware. It must be kept separately from the other supplies to minimize cleanup. 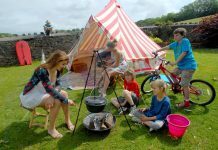 No-See-Ems– This is a camping term which is used to refer to the small insect and bugs. Switchback– This is a term which is used to refer to the motion of climbing a mountain or hill with a zigzag motion.